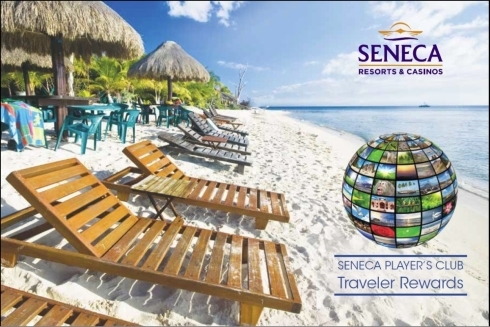 Players can now purchase HCT Travel Reward Gift Cards using Seneca Player's Club points. They can be purchased at the Sky Boutique at Seneca Niagara Casino & Hotel, the Logo Shop at Seneca Allegany Casino & Hotel, or the Player's Club at Seneca Buffalo Creek Casino. Call Horizon Club Tours at 877-464-2427 to redeem your HCT Travel Rewards Gift Card for travel!